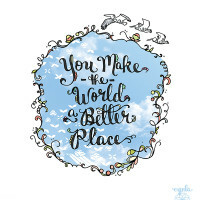 Currently viewing the tag: "better place"
There are a lot of people in my life that I can honestly say make the world a better place to be a part of. I’ve been seriously thinking about what that means to me lately. I can’t wait to send this card out.